When you begin to delve into the question of what money really is, you must be prepared for some metaphysics. Money, currencies and other such media of exchange differ markedly in their backgrounds and means of operation, and have changed quite recently into forms that are barely understandable. For centuries, minted coins not only represented the value and trust of banks, their depositors and eventually nation-states, but also were deemed valuable because they were made from precious metals like gold and silver. These metals are difficult to move around in large quantities, and so banknotes were invented as early as the seventh century in China and brought to Europe in the 13th century. Unlike coins, banknotes were not treated as valuable in themselves since they were simply printed on otherwise worthless paper. Rather, they served as a form of promissory note or IOU that could be presented to the banks that issued them in exchange for their face value in precious metal, coins or bullion. In the 20th century, most central banks and governments stopped backing up their currencies with precious metals, and yet banknotes maintain fluctuating values, with some in high demand as media for exchange both domestically and internationally. Dollars and euros are highly regarded and preferred currencies for international commerce, as well as for stocking private bank accounts. Now we have bitcoins and other digital currencies that exist entirely in blocks of zeros and ones and are even “mined” by machines running algorithms. And earlier this month, bitcoins and their ilk were officially deemed commodities by the Commodity Futures Trading Commission, which will now regulate them. So as the greenbacks and quarters in our pockets slowly disappear, replaced by strings of digits stored on our smartphones, and money takes another step away from being tied to anything of value, a philosophical question comes to mind: does money still exist? And if so, what gives it its value? Money is a “fungible” item, which means that exchange of any one portion for a portion of equal value is not a “taking” of property. That is, you don’t own a particular US$100 bill. You own the value it represents. This is how banks have long worked, since when you deposit your money, you are not entitled to receive the same coins or bills back as you deposited. This is also how “fractional reserve” banking began (in which banks do not keep all the curency on deposit “within” the bank, just some fraction of it) and was not regarded somehow as theft. People took their money to a bank, they were given a note of deposit, which entitled them to withdraw the same amount plus some interest, but they were not entitled to the same coins or bills that they deposited. The money on deposit in a bank is not all physically in the bank (excepting that which is in safety deposit boxes) and has not been really since banking was invented. When you deposit a sum, you no longer own the paper or other medium of exchange used for the deposit, legally. What you own is a debt and obligation by the bank to return the equivalent amount of money with interest. John Searle has described things like money as “some special sort” of social objects. That is, X (coins, bills, strings of digits) work as Y (money) in context C (an economy, coffee shop, bank, etc). In the case of money, anything can conceivably take on the Y role even without an X (think a barter economy). Where metals, then bills and now bits in computer memory take the role of X, money might well be a “free-standing” Y, meaning it could exist without anything to represent it except the web of intentional states (the debts and obligations) that make more familiar forms of money function. It’s only physical manifestation might be a note in a ledger. Without precious metal standards backing national currencies, and in the age of digital transactions, money is decreasingly tied to banknotes, just as its ties to metals have faded. Digital ledgers track exchanges and accounts, with digital strings in computer memories representing the trust and value we once attached to more solid things like coins, bills and notes, in more ephemeral digitally encoded, instantly accessible forms attached to cellphones, computers and chip cards. 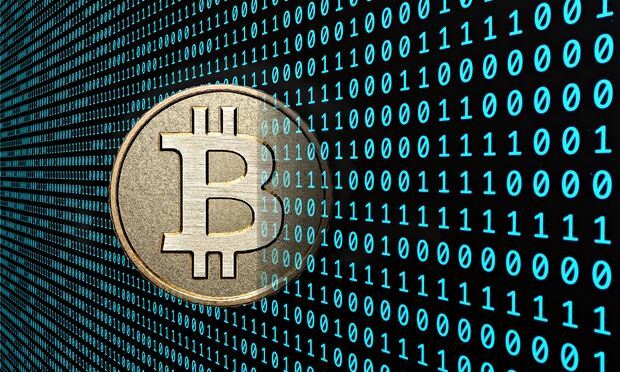 New types of cryptocurrencies (where cryptography protects its integrity) like bitcoin and others take the concept one step further, distributing the banking to all its users, tying the transactions and ledgers to no particular party but to all users at once. This is similar to mirrored bank servers, but bitcoin is mirrored among all bitcoin owners. A bitcoin is as ownable as dollars are when they are deposited in a bank. Skipping the stage of physical, fungible currencies, bitcoins exist by virtue of their representations in a ledger in cyberspace. The information encoded in a massively distributed and constantly updated blockchain is incapable of the exclusivity required for owning objects in the traditional sense. But the same is true of the information that tracks most of the money in the world. Money in nearly every denomination exists and flows in a similar state, represented by digital bits. Bitcoins nonetheless lack some of the institutional guarantees that other types of money has due to nations and their laws. Depositors to banks are protected in their debts by states, generally, and through contracts with their banks. State insurance and the contractual guarantee that a bank will pay back what has been put into them mean that there is some force behind our trust in the continued existence of a person’s wealth while digitally stored in a bank’s servers. The blockchain exists on many servers at once, spread across the universe of bitcoin owners. Without government insurance or contractual guarantees, only mutual trust maintains the value and integrity of the system. What bitcoin owners own is the debt, just as those who own money in banks own debts that are recorded in bits. They do not own the bits that comprise the information representing that debt, nor the information itself, they own the social object – the money – that those bits represent. Bank ledgers exist. They are tangible, even though digital, and they record the debts owed among parties. While cyberspace is ephemeral, it is still real and physically based. Digital bank ledgers now track money without the necessity for physical transfers of currencies. Bitcoins too exist as digital records of obligations, physically encoded on servers of those who hold them, propagated and distributed for transparency and security, encrypted for privacy. Bitcoins are as real as money in banks. What’s most fascinating about these new digital cryptocurrencies is how much they reveal about the surreal nature of currencies and wealth in our digitized economy. If bitcoins are as real as any other money, how real can money be?